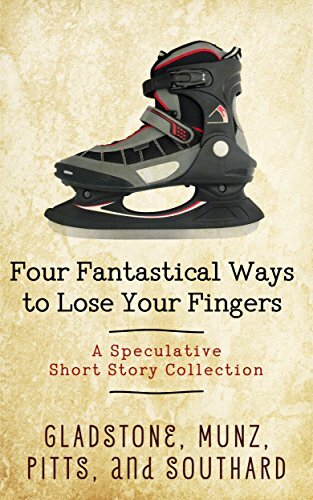 I’ve never been big on writing short stories. It’s not a completely alien concept, of course. I’ve published a few. 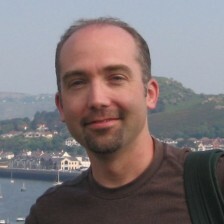 “Finding Victor,” even won an award. But if an idea excites me enough to get me writing, it’s usually something I want to take some time to develop, and that usually means novel-length. So I suppose it’s fitting that three of the short stories I’ve written had a similar theme that eventually did lead me to turn them into an entire novel. 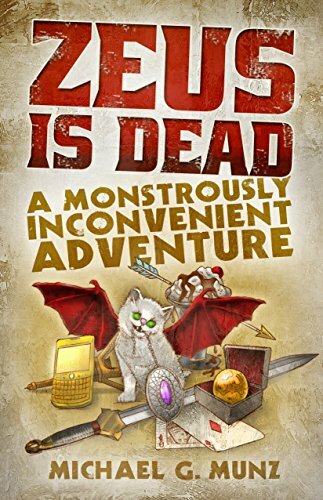 That novel, which I’ve mentioned here before, became Murdering Zeus for Fun and Prophet, a comedic contemporary fantasy set in our modern world where reality TV heroes slay actual monsters and gods have their own Twitter feeds. (It’s as yet unpublished, but I’m looking to change that soon via independent publishing.) 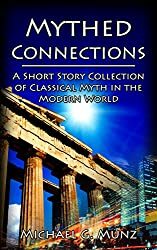 As for the stories that led to it, I’ve decided to release them together in a free ebook titled Mythed Connections: A Short Story Collection of Classical Myth in the Modern World. It’s ironic, perhaps, that my shortest book has the longest title. 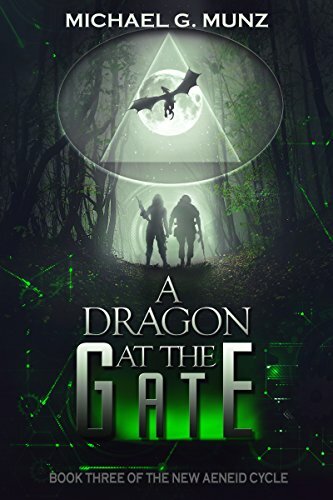 Of the three stories in Mythed Connections, two have been published before, and one is newly released for this collection. All three share in some way the underlying concept and (to varying extents) the comedic bent of Murdering Zeus: Greek gods and their fellows are still out there, hiding in our forests, hanging out in Hollywood, and getting angry at Al Gore for inventing the Internet. 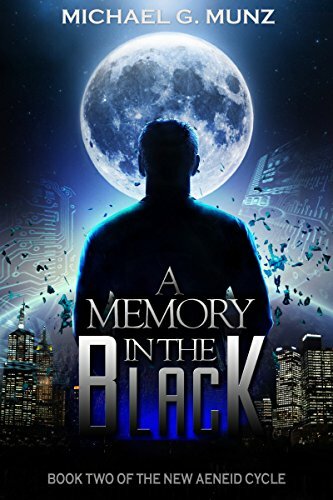 But while Murdering Zeus explores what happens when Zeus is murdered and they make themselves known to the world, Mythed Connections has them still in hiding, for as we all surely know, Zeus commanded them all to withdraw from the mortal world some 3,000 years ago. You could consider it a prequel. As the foreword states, certain elements and characters from the stories did make their way into Murdering Zeus, after all. Some more than others. And you should probably take anything Hermes says with a grain (or a bag) of salt. Here’s a preview of what you’ll see in this collection, but hey, it’s free, and in multiple formats! Why not grab the whole thing? An atheist named Marcus learns the hard way that just because the old man living a hovel along a river that flows through a giant cavern in his basement is crazy, it doesn’t necessarily mean that he’s not telling the truth about being the ferryman to the land of the dead. Janette’s older brothers have ditched her in the woods. Again. But when Hermes takes a liking to her, vengeance is hers. 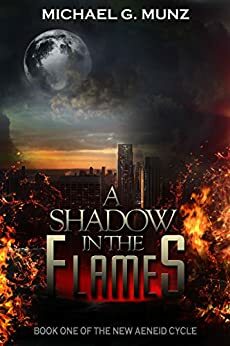 Pick up Mythed Connections at Smashwords.com!